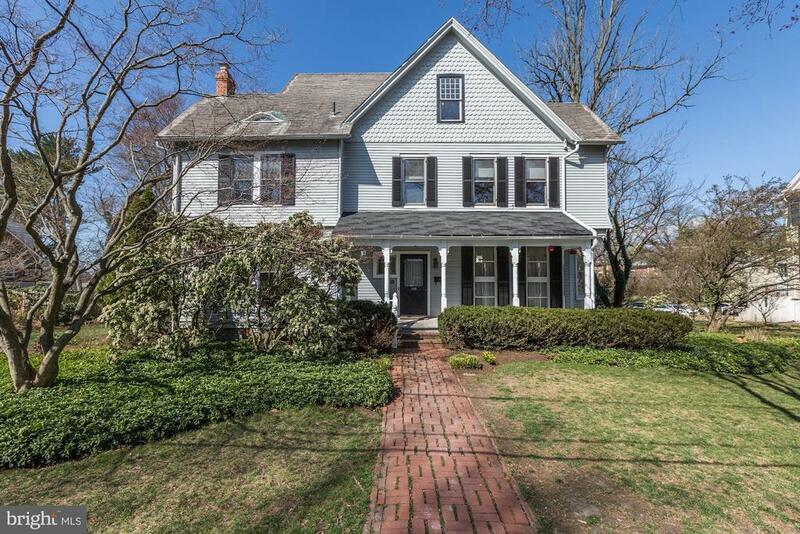 Lovely Queen Anne Victorian in the heart of Rockvilles historic district, in walking distance to metro, shops, restaurants. Set in large yard with garden & pool High ceilings, large rooms, 5 BRs, 2.5 Baths, lovely double parlors, dining room, screened porch, office/den. One of a kind - must see! Directions: South Van Buren Street is accessed from West Montgomery Avenue.